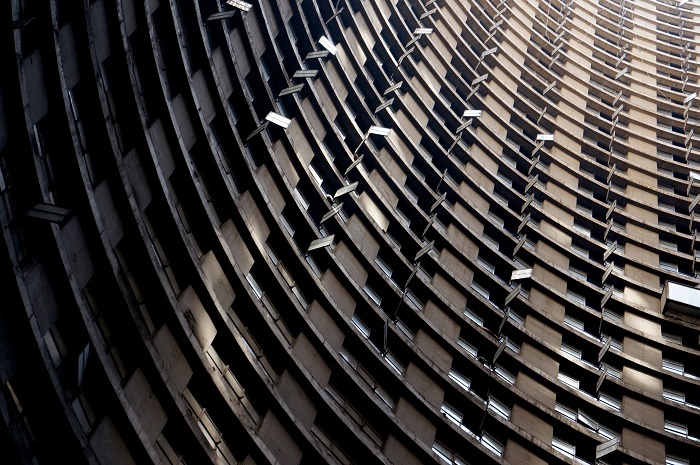 Ponte City is a skyscraper in the Hillbrow neighborhood of Johannesburg, South Africa, which was built in 1975 to a height of 173 m (567.6 ft), making it the tallest residential skyscraper in Africa. At first it was meant to house white only residents, who were living in South Africa, and was seen as an extremely desirable address due to its views of Johannesburg and its surroundings. But it became a notorious vertical slum, filled with crime and poverty, for which its core was the signature as a trash dump and from time to time a suicide drop. The designer of the skyscraper was Mannie Feldman, working together with Manfred Hermer and Rodney Grosskopf. 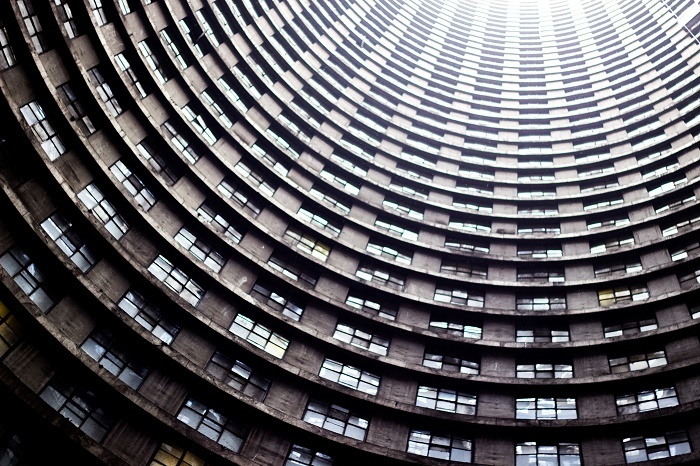 The building has a hollow inner due to the bylaws of South Africa at that time, which required that there should be windows in both, kitchens and bathrooms. With that, the apartments have daylight from both sides. At the bottom of the immense building were retail stores and initial plans were to include an indoor ski slope on the 3,000-square-metre (32,000 sq ft) inner core floor. As it was the case in Manhattan, USA, due to the limited surrounding space, the buildings had to go up, here was the same case. The developers wanted a large number of units, but they had limited land to built on, so they went up. However, during the late 1980s, the crime rate increased due to the gang activity. After the apartheid, many gangs moved into the building, for which it made it extremely unsafe environment to live in. 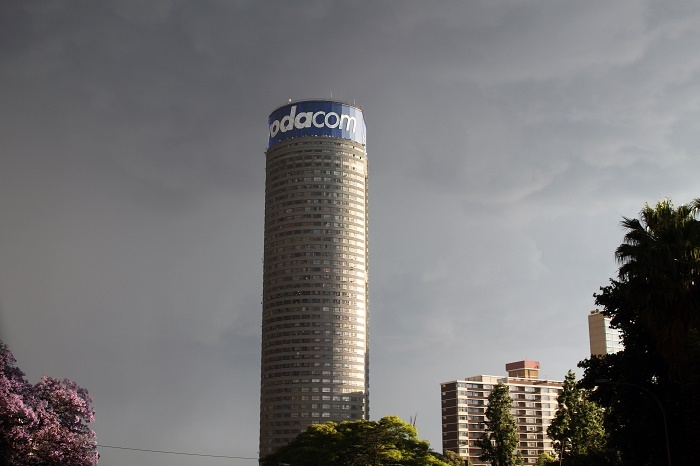 That was the reason the building to be a symbol of crime and urban decay, for which once upon a time it was cosmopolitan Hillbrow neighborhood. There was so much debris in the inner part of the building, it reached the fifth floor. There were also some proposals for the skyscraper to become a highrise prison. Nevertheless, Trafalgar Properties in 2001 took over the management of the building and began numerous improvements. In May 2007, the ownership of Ponte changed again but this time, it was different than before. 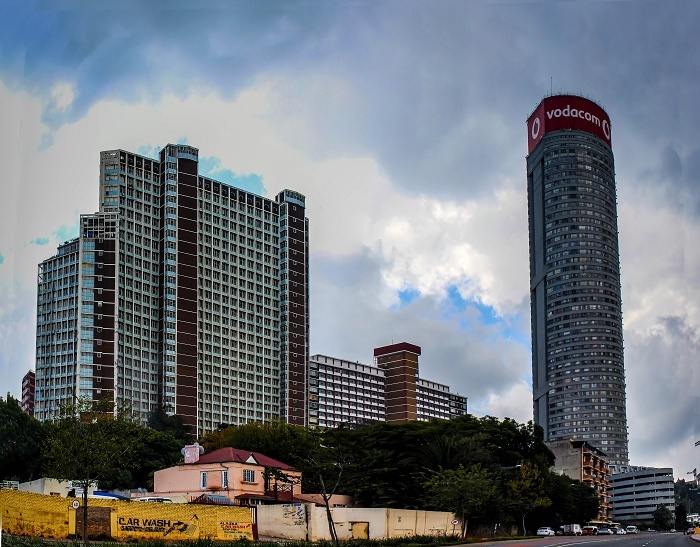 In late 2007, a series of print advertisements began appearing across Johannesburg, showcasing glitzy new apartments for rent in a downtown high-rise. Emblazoned with the phrase “Live Your Life,” the ads featured a series of imagined occupants who looked like they’d jumped straight out of central casting for the new South Africa, diverse, middle class, and blithely hopeful. The planned apartments would be 467 residential units, retail and leisure time areas. 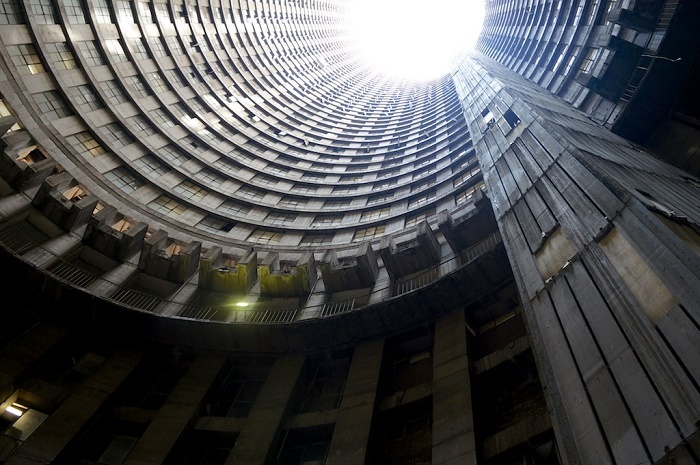 But also, the Johannesburg Development Agency planned to invest millions in the area surrounding the Ponte City. But as the financial crisis swept around in 2008, the money had dried up, the developers backed away, and actually the sub-prime crisis caused the banks not to provide the funding required to finish the revitalisation. The project was cancelled and ownership was given back to the Kempston Group. 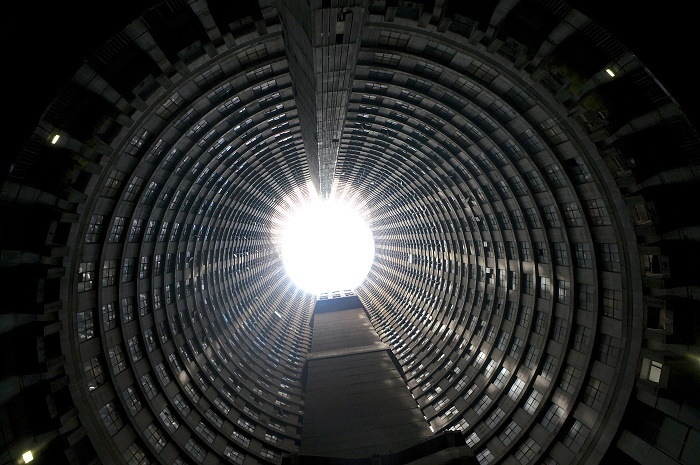 The building, along with the neighborhood of high-rises around it, had long functioned as something of a vertical waiting room for admission into urban South Africa. Adjoining the city’s largest train and bus station, it was the landing point from which thousands of immigrants, refugees, and rural migrants took their first tentative steps into Africa’s wealthiest city, and their presence made the area dazzlingly cosmopolitan. 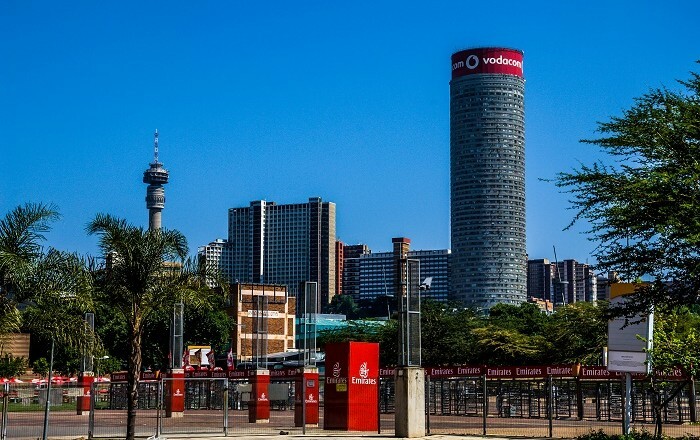 Nowadays, Hillbrow is still not everyone’s cup of tea, as it was in the past. 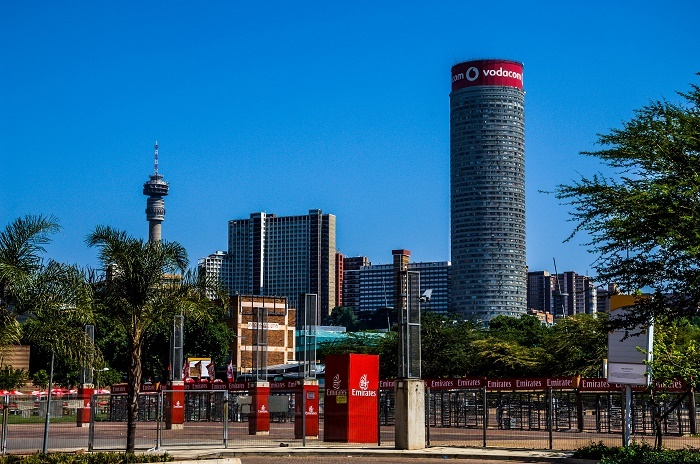 Ponte has 24-hour security guards and biometric fingerprint access at all entry points to the building. 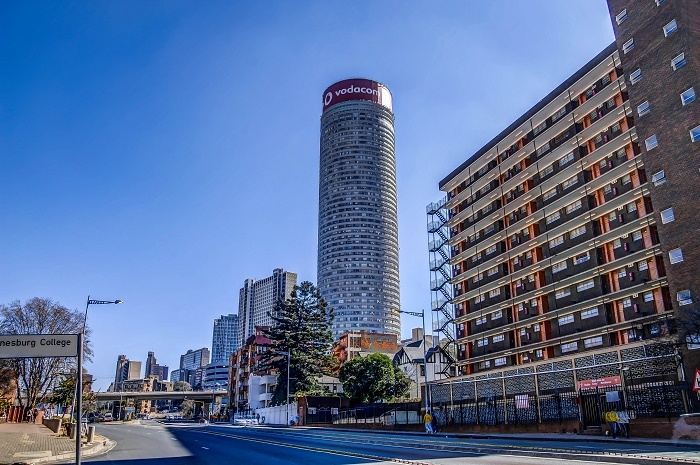 Hillbrow is still a very dangerous place but it’s changed a lot from 5 to 10 years ago, and Ponte City becomes once again a desirable place to live in!